ownCloud Server 8.1 was released yesterday! It is time to start thinking about upgrading and this blog post aims to tell you everything you need to know. ownCloud Server 8.1 introduces many smaller and larger improvements all over ownCloud, from more reliable email sending and a more robust upgrade process to the next generation Encryption and a much improved Documents app. You can find out more about what is new in our announcement blog and see a more complete overview on the website. If you would like the benefit of these improvements, faster performance, and a refined user interface, then it’s time for you to move to ownCloud 8.1! you cannot run ownCloud Server 8.1 on Microsoft Windows. ownCloud clients older than version 1.7 will (by default) not be able to connect to ownCloud 8.1 servers. Caching has now to be configured manually and encryption 2.0 brings some significant changes, including the inability to disable encryption once enabled. The .htaccess and index.html files in the data/ directory are now included with every update. If you make any modifications to these files they will thus be lost after updates! When you upgrade from ownCloud 8.0 to 8.1, with encryption enabled, you must enable the new encryption backend and migrate your encryption keys. Also, Encryption can no longer be disabled in ownCloud 8.1. We further strongly recommend to wait for ownCloud Server 8.1.1 (the first bugfix release) when you have encryption enabled due to a real chance of migration issues. There are more important changes like these so give the release notes a good read. There are other web servers (like Ngnix) and databases (like PostgreSQL) supported as well. Usually, newer versions mean better performance with ownCloud. This is especially true for PHP. If you use ownCloud with other webservers like ngnix or on platforms like a NAS, be sure to have an extra careful look at the documentation! Not all ownCloud apps developed for and on earlier releases are yet modified to work with ownCloud 8.1, so we urge you to check if your favorite apps are already compatible with ownCloud 8.1. You can usually check on the online ownCloud app overview. When it comes to stability and potential upgrade issues, we always urge users to test ownCloud Betas before of the release and to report any bugs you come across. Only a test on your specific circumstances can tell you if a piece of software will work for you. However, we have tested ownCloud 8.1 in more ways than ever before. We added a full extra two months of stabilization and introduced Smashbox testing, the automated testing tool developed by CERN. We are, therefore, more confident than ever in the stability of this release. We still strongly recommend to make a backup of your database and data. You can find instructions on how to do that here. We have written a great guide on upgrading ownCloud in our documentation. Carefully read the document, make the appropriate choices about how you will upgrade (with packages, manually or the updater app), and proceed with the steps described. Note that if you wish to use the updater app, we usually release a new major ownCloud version for the updater app within a week after the release so this is currently not yet available. While we strive to keep managing ownCloud as easy as possible (including the upgrade procedure!) and test as many upgrade scenarios, the documentation contains a troubleshooting section with instruction on how to recover from the most typical problems. If this does not help you, there is a support page on owncloud.org which links to the various resources available to you. 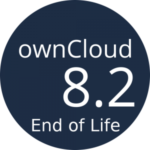 Home users should check out the forums, which have a special section devoted to ownCloud 8.1 upgrades with excellent and up to date information. 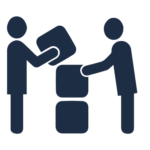 Professional users can find resources on owncloud.com and are strongly urged to wait with the upgrade until the availability of the ownCloud support subscriptions. These will become available in the first half of August. Once your brand new ownCloud 8.1 is up and humming nicely, we’d appreciate it if you would let us know what you think over Twitter and other social media, see owncloud.org/promote for more. I’ve logged in as Administrator user. Updater Center shows that I am up-to-date even tho my current version is “ownCloud 8.0.4 (stable)”. Updates via the updater are always delayed for a few days. Still now showing in the updater. I’m on OC 7.0.4. I’m still trying to figure out the proper upgrade path. Can I just upload the files for 7.0.6 over the top and then use the built in upgrader to go to 8.1, or do I need to upgrade to 7.0.6, then 8.0, then 8.1? It sounds like it’s not possible to use the updater to go from 7.0.4-> 8.1, right? Yes, you need to go to 8.0.5 first. Andrzej , L its for your surname? I have version 8.0.4, but when I go to Administration -> Updater it does not see the 8.1 update. Is that correct and I have to update it manually or 8.1 should be visible from there? It takes a while before 8.1 is enabled in the updater. It became available ownCloud 8.0.5 yesterday, but I still can’t upgrade to 8.1 too. Me too can’t update from 8.0.4 to 8.1. Is the updater not yet enabled ? If the updater is enabled you get the new version. So no, the update is not yet enabled.